​Enter your Formal or Prom like a Celebrity and get the entrance you deserve. Your Formal is the end of a long road and it will live in your memories as a time of fun and excitement that you share with your friends. 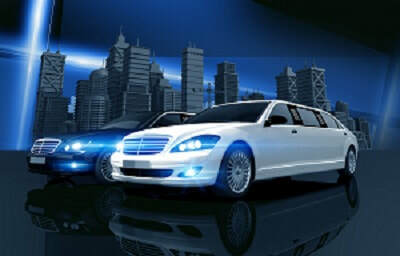 Arriving in a classy limousine will definitely make the right impact and you will feel like a superstar. ﻿1. Share a Limo with your friends and enjoy the fabulous fe﻿eling that a lavish luxurious limo service can offer. Get a free quote to see the great value when you share the cost with your friends. ﻿2. Go to your formal in a limousine﻿ and make the night special. Get your friends together and share the ride. You will be surprised how cost effective a full limo can be. make that spectacular entrance and get the night off to a great start. ﻿3. Rent a limo for prom night﻿ ﻿and be the star of the show when you arrive at your prom. Feel like a celebrity and have a spectacular entrance with your party as you arrive for your formal. 4. Limo Hire Brisbane at affordable prices, top notch service and immaculate vehicles are only a phone call away. we look forward to making your special night amazing with our services. 5. Hiring a limo to prom night with your friends is very cost effective and will give you the VIP entrance to impress everybody. We have a large range of modern limousines to cater for all sizes and will be happy to discuss all your options. call us now or fill in the request quote form and we will be in contact to assist you booking hour limo. 6. For prom cars to rent or any questions, feel free to give our friendly staff a call to discuss all the options available to you. We service the Brisbane, Gold Coast ans Sunshine Coast and everywhere in between. We look forward to providing your with our first class service. We provide quality limousines for your prom night or any formals event where you want to travel in style and comfort. For limo hire brisbane prices please call 07 3123 6948.